As technology progresses at a rapid rate, amazingly efficient new tools and gadgets are making their way into every conceivable industry. Of course, this includes the world of sports too, and if you’re a golfer, there are plenty of incredible technological innovations to try if you would like to perfect your game. Here are 5 of the best new golfing gadgets on the market today! Blast Golf is currently hailed as the industry’s most accurate golf motion capture sensor. It supplies you with instant and accurate analyses, coaching, management and communication tools for your sport of choice, all from the comfort of your smartphone. Using an advanced sensor that fits onto your putter, this gadgets captures everything from your golf swing and stroke to data about your ball flight. From there, you can analyze details of every shot, view charts of your progress over time, track your daily performance metrics, and enjoy simply but helpful tips on how to improve your game. Golf shoes have officially gotten smarter thanks to IOFIT, a startup stemming from the same brains behind the first spin-off startup of Samsung. This fine footwear is made with pressure sensor technology embedded in the shoe soles, tracking and analyzing your weight shift and balance during your swing. The shoes’ unique force plates and wearable built-in tech connect to a mobile app that provides great feedback on how to perfect your swing, while also tracking your progress and consistency and offering regular customized tips. You can even use the app to compare your game to that of some of the world’s most renowned golfers, and its mobile compatibility makes it just as convenient to enjoy as an app like River Belle Casino! This is the perfect product for players who want to explore the course without having to lug around a heavy bag or cart. By using a vombination of radio frequency and ultrasound technology, this amazing robotic caddy follows you around, allowing you to walk with your hands free and focus entirely on your game – not your gear. Users can opt for four different operational modes; remote control, march, follow, and manual. By using a specialized remote, the caddy will follow their every instruction, and it even calculates angle, distance to players and speed to avoid collisions. To top it all off, its battery even lasts for 27 holes, making it the perfect on-course companion. Even the pros lose valuable strokes to putting. The GENi1 golf ball aims to give players of all levels of skill more control over their games by providing insight that would otherwise be impossible for the human eye to predict. The smart ball achieves this through an embedded 9-axis sensor, and you can connect to it using Bluetooth to receive putter and ball information on your smartphone. The innovation allows you to track your ball’s direction, speed and impact force through a free mobile app, while also offering you valuable tips to improve your putting stroke no matter where you are playing. 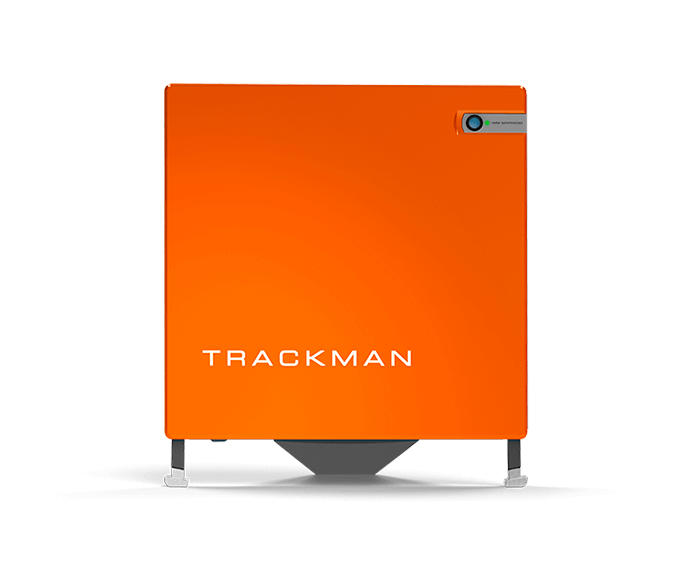 The TrackMan uses the latest in radar technology to track the complete trajectory of any short, starting from the moment of impact. The device pinpoints the landing position of your ball with an accuracy of less than a foot at 100 yards, and shows you a 3D predicted trajectory with 26 ball flight and impact parameters. It can be used both outdoors or inside a simulator, and effortlessly analyzes play factors like smash factor, launch angle and club speed for a truly professional approach to putting.